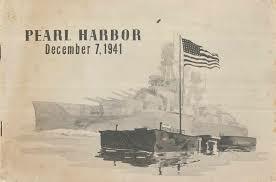 Mr. Trump, please don't forget that Pearl Harbor remembrance is today, December 7, the day that most of our fathers were called to go to war to defend our country. This war was started by tariffs and then a trade war with Japan. Is this what you are trying to do with China, Mr. Trump; get us into another war?